Only a few months into the war and with snow covering the ground, Iowans made plans to plant victory gardens as soon as the ground thawed. The Estherville Daily News encouraged readers to pass the winter doing some “fireside planning”— reading seed catalogs and drawing out maps for summer garden plots. 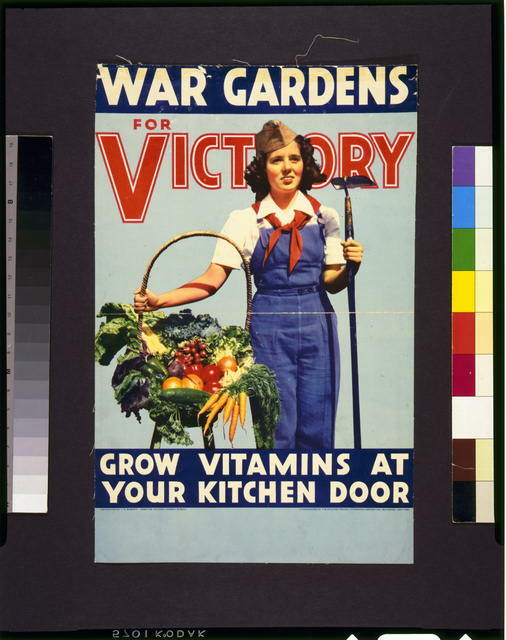 The U.S. Department of Agriculture asked states to form victory garden committees immediately, thereby making a “real contribution to victory.” The objectives for the committees included a survey of available fertile land and identification of facilities to be used as home canning centers. The committees would recruit individuals who had experience growing and preserving garden produce. Men’s and women’s garden clubs, 4-H club leaders and county farm agents were encouraged to join the committees. In Franklin County committees were formed and started to assess needs and possibilities for gardens. Schools with hot lunch programs, as well as individuals and groups made plans to raise and can corn, peas, beans and tomatoes. 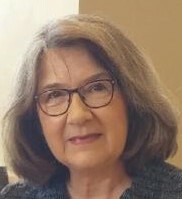 In Muscatine County a training titled “Planning the 1942 Victory Garden” was offered to farm families, with a nutritionist and horticulturist from the county extension providing the expertise. Des Moines residents were eager to start planting, but there was a shortage of available plots in some sections of the city. The chamber of commerce encouraged land owners to make their vacant lots available for potential gardeners at no charge. The Davenport country club opened their social season with a victory garden party in May. Despite bad weather, over 200 members and guests attended the gala. The victory garden breakfast offered door prizes including wheelbarrows, garden tools and seed catalogs. The clubhouse was decorated in a garden theme: wheelbarrows, garden tools and straw hats. Table centerpieces were made with green vegetables. “Call For War Garden Plots,” Des Moines Register, April 3, 1942. “Country Club Opens Social Season With Victory Garden Party,” Quad-City Times, May 4, 1942. “Fireside Planning Now Will Speed Victory Garden,” Estherville Daily News, March 5, 1942. “Franklin Co. to Have Victory Garden Program,” Courier (Waterloo), Jan. 23, 1942. “4-H Girls, Leaders Attend ‘Health for Service’ Meetings,” Malvern Leader, Feb. 5, 1942. “People’s Pulpit,” Daily Times, (Davenport), Jan. 19, 1942. “Victory Garden Committees to Be Established,” Courier (Waterloo), Jan. 16, 1942. “Victory Garden Is Theme of Muscatine County Farm Session,” Daily Times, (Davenport), Feb. 18, 1942. “Victory Gardens First of Summer Playground Plans,” Carroll Daily Times Herald, March 18, 1942. Some called it the fastest and best typewriting machine in the world. It was destined to revolutionize the business world.